Fully-forged, chrome-plated professional model for trimming. 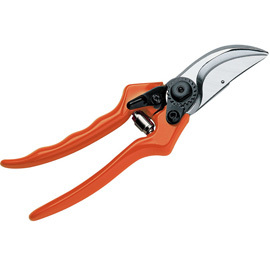 Blade with wire cutter, easy to replace. Counterblade with sap groove. Plastic-coated, cushioned handles.